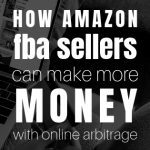 Online arbitrage is still a viable way to make money selling on Amazon. It is one of 3 major ways I still source products today and it continues to bring in plenty of money. See, I was one of the early adopters of the retail arbitrage (“in stores“) product sourcing method and I built a highly successful Amazon & eBay business. Now, I still search in stores to find those hidden gems that make me great profits and enjoy the “treasure hunt” feeling of the whole process. But there are days sourcing products in stores where I strike out and come home tired and empty handed. That’s just the nature of the business. I would often wonder is there an easier way to source products? So years ago I started using online arbitrage, and today I’m going to unveil my strategies and methods to you. But, first, understand that Amazon is the behemoth that has enabled many folks like you and me to create an online arbitrage revenue stream like no other. See, Amazon is the largest online retailer in the world generating more than $200 billion in revenue with 50% of all sales coming from third party sellers like you and me. So, how can you and I maximize our profits and make more money selling on Amazon? 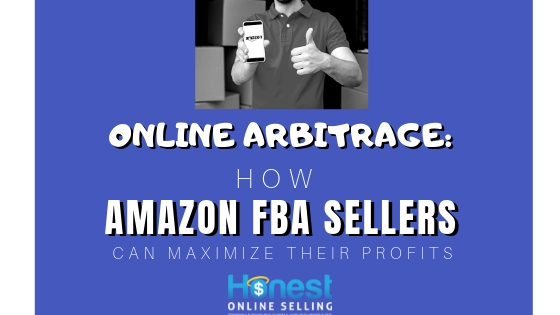 By buying products low and selling high with online arbitrage opportunities. 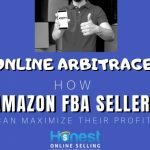 Online arbitrage is simply buying a product in an online store or website and flipping it for a profit in another (or the same) online marketplace or in your own online store. In other words, it’s buying low from an online retailer and selling high through another website online. You can sell this product in a variety of places including eBay, Craigslist, the Facebook marketplace, in your own store, OfferUp, Let Go, Walmart, Jet, and of course in the Amazon marketplace. If source a product from (say) Amazon or eBay, you can flip them back on the same site in many cases. In fact, I have purchased many products from Amazon, received the item, and then sold the item back on Amazon (just don’t violate their policies by having the item shipped to you via Prime. Prime members are not permitted to purchase products for the purpose of resale, rental, or to ship to their customers or potential customers using Prime benefits.). And I’ve done the same with eBay by winning auctions of poorly-listed items, receiving the and flipping them back on eBay at a much higher price. Online sourcing can be done anywhere including at home in your pajamas with a few simple tools and Internet access. Have you ever made money online while traveling to pay for your vacation? This gives new meaning to what people call a “working vacation”. If you live in a remote area with very few retail stores, online arbitrage sourcing could be an excellent option for you. It is also great for those with busy schedules who just don’t have time to search for profitable products in big-box stores using retail arbitrage. My favorite cash back sites include Ebates and TopCashBack. Sites like these will pay you a percentage of the total amount you spend in participating online stores. Always make sure to begin by clicking through the link in the cash back site that will track your full shopping trip giving you credit in the form of “cash back”. An online store that is willing to give you 6% cash back on a $300 purchase equals $18 back in your pocket. I even recently saw eBates offer 10% cash back for purchases made on JCPenney.com. Here’s a snapshot of my eBates actual cash back received (keep in mind this is over a 11 year period. But $650 a year average is pretty nice! Percentage cash back changes frequently occur for many stores. One day you might see 2% for Kohls on Ebates but 4% for Kohls on TopCashBack, and the next day those percentages can increase or reduce significantly. Cash back sites are free to use and can add up to large amounts of cash you wouldn’t have otherwise. Raise and Gift Card Granny are two great places to buy discounted gift cards that you can use to buy inventory. The gift cards are sold for less than face value but accepted in retail stores for the full amount. This makes it possible to buy a $200 Kohls gift card for (say) only $187.16 giving you 6.4% off the face value. Don’t forget to set alerts for store gift cards that are currently out of stock. 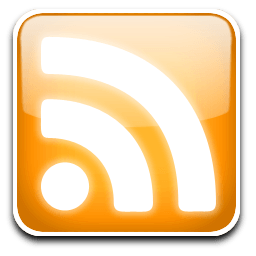 Set up an email address for the purpose of subscribing to the email list of several retail stores in order to cash in on their coupons and promo codes. These could offer you a hefty discount or free shipping on your entire purchase. Two extensions in the Chrome Web Store for finding additional product discounts are Price Blink and Honey. These Chrome extensions will help you automatically find lower prices and promo codes for extra discounts while you shop online. RetailMeNot is another great place to find more promo codes offering discounts and free shipping for a large selection of online stores. If you still cannot find a discount, try Googling the store name and the phrase “coupon” or “promo code” to see what pops up. You will be surprised with what you find! Many stores will have a rewards program or loyalty program you can sign up for that offers rebates and discounts on a regular basis. Take advantage of this to get your total cost down even lower. Stacking cash back, coupons, promo codes, store rewards, and discounted gift cards (or credit card cash back) with sales and clearance items is the secret to buying inventory at a low enough price to resell for a larger profit on Amazon. Just remember the products you buy online need to be cheap enough to resell on Amazon in order to make a profit. Make sure you use a calculator such as the free FBA calculator provided by Amazon or RevSeller to help you see if you can truly make a profit once your product sells BEFORE you buy. The product selling price on Amazon should be at a higher price point than the online retailer you plan to make a purchase from. Never guess when it comes to numbers. Be as accurate as possible if you are serious about making a profit. This is the biggest mistake made by many beginner FBA sellers. It is also important to make note of the 90-day average sales rank, product price history, your total fulfillment by Amazon competition, and whether or not Amazon is currently selling the product. Wouldn’t it be easier to get all this information in just 1 click? Here is how you can speed this process up a little bit. Cleer Platinum is the tool I use for online arbitrage sourcing (and works great for private label research too). It is easy to learn and convenient to use anywhere. You can know in as little as 1 click whether or not you truly can make a profit on an item you plan to purchase. Cleer Platinum automates a huge part of buying inventory online to resell on Amazon saving you an enormous amount research time.